To give them opportunities she didn’t have. After years of hard work and sacrifice, Rosa became an American citizen in 2008. And in 2014, she bought her first home. Her two children are now in college and have bright futures. Rosa is a perfect example of why immigrants come to the United States. To this day, immigrants come to the United States believing that each person has the right to pursue happiness and the freedom to strive for a better life through hard work and fair ambition. It’s called The American Dream. Banks have helped Americans realize this dream since 1791, when Alexander Hamilton decided the United States needed a standard form of currency and a system to handle the enormous debt left from the Revolutionary War. The dream is still alive, but many immigrants cannot take full advantage of the financial opportunities available to them, and language access plays a big part in that. Not only do they bring prejudices against financial institutions with them from their place of origin, they are unable to build trust and establish relationships with banks due to the lack of understanding and communication. They simply cannot comprehend how banking works, so there is little or no interaction. 1 in every 13 American households (or just under 10 million people) do not have a checking or savings account. 20% of American households are underbanked, meaning they have access to accounts but still choose to use alternative financial services like check cashing services, payday loans, rent-to-own agreements, and pawn shops. In total, about 106 million Americans are not currently taking advantage of the convenient and wealth-building services available within the national banking system. In other words, the American Dream is unattainable for the unbanked. The states with the highest concentration of unbanked Americans were Texas, Mississippi, Arizona, Louisiana, Alabama, and New Mexico. All of those states contain high numbers of limited English proficient (LEP) residents, with Spanish being the predominant native language among these individuals. 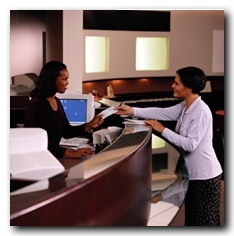 While the surveys did not focus specifically on this topic, according to the FDIC report, “43% of banks noted ‘multilingual staff availability’ was a key strategy to develop trust, accessibility, and relationships between bank branches and unbanked and underbanked individuals. Consider branches of your bank that are in areas with a high concentration of LEPs. According to these statistics, a large number of those people are currently using expensive and inconvenient alternative banking methods and probably storing large amounts of cash on their person or in their home, making themselves targets for crime. Thinking about it that way, making a concerted effort to reach out to the unbanked and underbanked in your community is a public service that can ultimately serve many people, in addition to growing your customer base. How can banks help unbanked residents understand that their finances are much safer inside of the U.S. banking system? As this information makes clear, a significant number of unbanked and underbanked people in the United States would likely be willing and able to take advantage of accredited financial institutions as a means to building wealth and striving for the “American Dream”. However, language barriers stand in the way. To overcome these challenges, banks need to establish reliable language access solutions that include translation of written documents and interpretation of conversations to serve LEP consumers. All bank branches should develop community outreach programs to provide LEPs with in-language educational information explaining the true value of establishing bank accounts. Those banks that attract and service LEP customers in the language of their choice will enjoy stronger business results and help more people, like Rosa Lopez, to achieve the American dream. If you’d like help getting started, we would be happy to talk to you about providing the best language access solutions available for your bank.